Precious Parkside Bungalow! 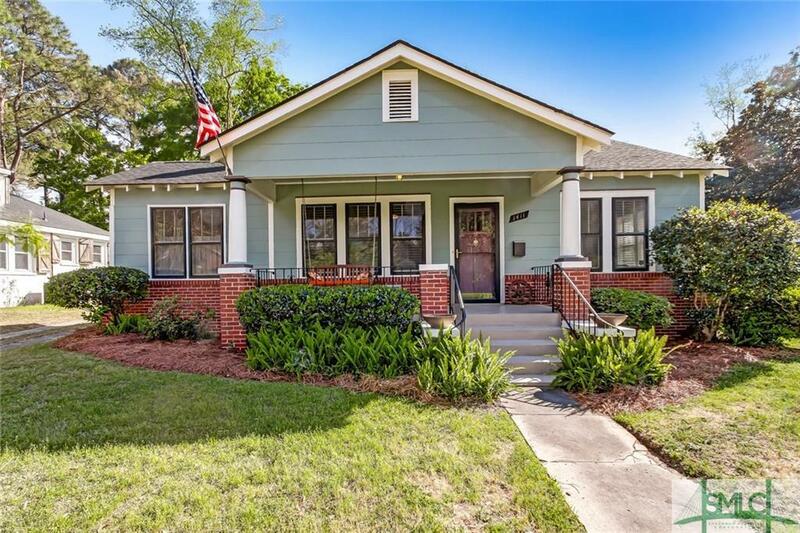 Relax on your front porch swing and enjoy all the character of this close-knit neighborhood! This home is true to its authentic historical structure with an added bonus of a studio in the backyard! The studio has been renovated with a full bathroom, kitchen sink, and cabinets. Use it as a guest suite, art studio, or whatever your heart desires - the possibilities are endless! The main house features an original fireplace, hardwood floors, and bright sunroom. There is a separate and spacious dining room ready for entertaining! The kitchen is fully equipped with stainless steel appliances and lots of cabinet space. The home features three bedrooms with natural light and closets in each room. There is one full bathroom with a tub/shower combo. This home is located conveniently to hospitals, shopping, and the Harry Truman Parkway. Beautiful brick fenced yard, off street parking, and a short walk to Daffin Park! This home is everything you need and more!